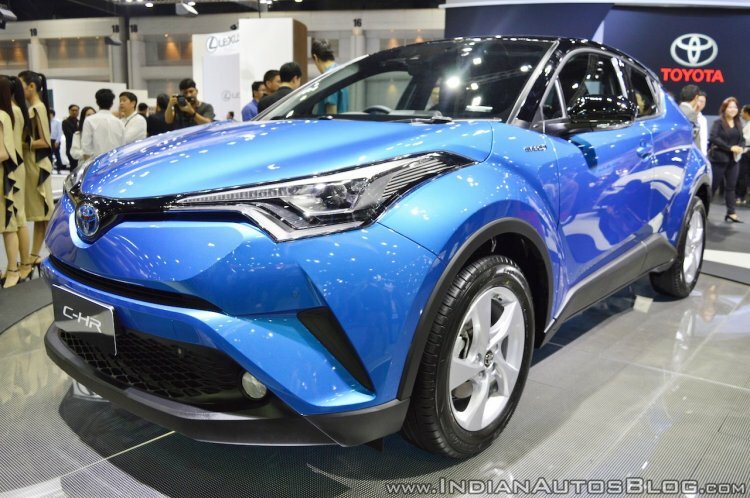 The Toyota C-HR compact SUV is sold in most of Toyota's Asian markets (the C-HR is in fact manufactured in Thailand for Asian markets), and in North America and Europe, but India unfortunately has not, and most probably will never see this TNGA-based Hyundai Creta rival. The C-HR is unavailable with a diesel engine in any market. At the outset, it might sound like Toyota is not taking the Indian market as seriously as contemporaries Honda or Hyundai. A country which is set to become the third largest car market in 36 months, with booming demand for SUVs of all sizes, is still not listing the latest compact SUV from the world's best-known automobile company that claims to stand for quality, reliability and durability. One of the many reasons is the C-HR's highly advanced, lightweight TNGA architecture which the manufacturer describes will "still be performing at the top of their class in 10 years' time". This high tech platform was engineered for developed countries, where buyers demand the very best in crash protection, road handling manners and emission standards. The Indian buyer however has a different criteria, albeit one that is evolving. While many car buyers demand standard safety features, customer clinics traditionally list rear seat comfort, a comfortable ride quality, fuel efficient petrol and diesel engines and all at an affordable price tag as being top priority for buyers. The C-HR currently does not offer a diesel variant in any country, and though petrol is making a comeback in India, it is mainly the hatchback and sedan segments which report robust demand for petrol variants. Then there's the C-HR's design - a type of CUV which may not click in a market where the design needs are conventional with a high road presence. The Coupe-like design of the C-HR with the small windows come at the cost of rear seat space & comfort. Owing to the C-HR's coupe like design, rear seat headroom and legroom is found to be short of rivals, and in the context of the Indian SUV market, our buyers love the space and practicality offered by SUVs like the Hyundai Creta and Mahindra XUV500. In fact, upcoming products like the Nissan Kicks and VW T-Cross are specifically engineered to meet the Indian buyer's rear seat expectations, and in such a market, the C-HR might find it hard to attract buyers. Though the Toyota C-HR is not coming to India anytime soon, that doesn't mean a Toyota-badged compact SUV won't be seen in Indian showrooms. The Toyota Suzuki joint venture is reported to spawn a Toyota version of the Maruti Vitara Brezza, and the two companies could share future products which would include a mix of crossovers/SUVs.